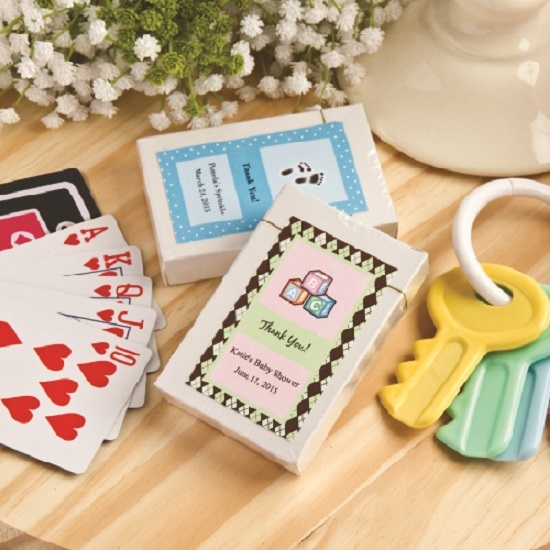 One-of-a-kind won’t give you a winning hand in a game of cards, but one-of-a-kind favors are sure to make you feel like a winner in the favor game. 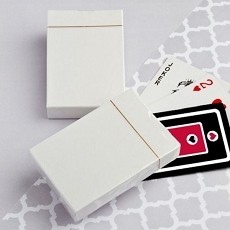 These playing cards from Fashioncraft’s Design Your Own Collection give you the chance to go all in on the creative process! You can choose from an exceptional selection of theme options, typefaces, color combinations and more, then use our innovative on-line proofing viewer to see the results right away. Now that’s a winning hand!